The rising disposable income of people around the world is promoting a shift from conventional to advanced wound care products, which in turn is providing a significant push to the global medical foam market. Besides this, advancing healthcare infrastructure, especially in developing countries, is also likely to encourage the adoption of sophisticated wound care products, thereby stoking the growth of the medical foam market. While the future of the market looks bright, there are several factors acting as dark spots in the landscape. The stringent regulatory framework makes it difficult to obtain certification of novel products, which in turn is hampering the growth prospects of the global medical foam market. Moreover, the high costs of technologically advanced products are limiting the widespread adoption of medical foams, especially in developing and less-developed countries. Nevertheless, the increasing awareness regarding the benefits of medical polymer foam is anticipated to offer ample lucrative opportunities to the market. The global medical foam market holds tremendous growth potential. The emergence of new players in the market is likely to intensify the competition in the market in the near future. Key players are expected to pay high attention to global expansion and technological advancements in order to stay ahead. Furthermore, players will focus towards strengthening their foothold in emerging countries to maximize their revenue generation. Market participants will also bank on strategies such as mergers and acquisitions to increase their shares in the global medical foam market. Medical foam find application in medical devices and components, medical packaging, and prosthetics and wound care, among others. Depending upon their forms, they can be classified into rigid foam, flexible foam, and spray foam. Of these, the flexible foam segment dominates the market with a leading share. Going forward, however, the spray foam segment is forecasted to outshine all the others in terms of growth. This is because of their rising use for wound care in the form of instant bandages. Depending upon the raw material type, the market can again be segmented into polyvinyl chloride, polyurethane, polyolefin, and polystyrene, among others. Among them, polyurethane segment, on account of its versatility, holds a leading share in the global medical foam market. 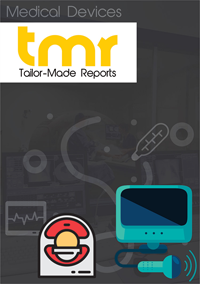 A report by TMR Research examines the global medical foam market to uncover useful information about the current competitive dynamics, geographical landscape, technological developments, and trends in it. The report presents a qualitative analysis of the growth drivers and restraints in the market and also sheds light on the current market size and its growth prospects. The report assesses the present vendor landscape. It not just profiles the leading players operating in the market, but also highlights their strengths and weaknesses. Leveraging market-leading analytical tools, the report examines the threats and opportunities awaiting players in the medical foam market. Key growth drivers in the global medical foam market are a robust demand for sterilized medical packaging materials and a burgeoning aging population requiring medical attention. Besides, government funding and grants for innovating better medical foam products are also forecasted to bring about growth in the market. The massive increase in manufacture of pharmaceutical products and medical instruments is also filliping the market. A noticeable trend in the global medical foam market is the soaring popularity of spray foams. This is because a unique perceived benefit of spray foam is that it is ready to use and requires no further molding as in the case of rigid and flexible foams. Hence, it helps lower costs. Spray foams are easy to use and find application in instant bandages, in places where standard bandages and other wound care products cannot be used directly. Among the various raw materials used in the formulation of medical foams, the polyurethane segment holds a sway over the market on account of being versatile. They can be strong elastomers or rigid plastics, and are gradually superseding typically used plastic components and metals. Polyurethane foams are used in different medical applications, including medical devices and components, packaging, prosthetic, and wound care. Geographically, the global medical foam market can be segmented into Asia Pacific, Europe, North America, and the Rest of the World. Among them, Asia Pacific leads the market and in the years ahead too is expected to hold on to its dominant share by expanding at a maximum pace. China, India, and Japan are mainly powering the growth in the region on account of their growing populations demanding quality products. Further, the increasing production of pharmaceutical products and medical instruments for domestic consumption as well as exports is driving the medical foam market in the region. Some of the major participants operating in the global medical foam market are the DOW Chemical Company, Bayer AG, Sekisui Chemical Co., Ltd., Huntsman Corporation, Trelleborg AB, S.à r.l., Foamcraft Inc., FoamPartner Group, Future Foam Inc., UFP Technologies Inc., and Rogers Corporation.